Michael McKinley, who originally authored the tome (with, as he’ll acknowledge, tons of help) in 2006 (the softcover was released recently and will be added to the book club on the sidebar, you can currently purchase it here) on the phone from where he currently resides in New York, about the book. He’s much, much smarter than I am, about the game and in all respects. The Oxford grad and one-time South Park and Due South producer spoke about growing up in Vancouver, following hockey in New York and a Canadian perspective on the Miracle on Ice. Steve Lepore: First, a little background about yourself as a hockey fan, how you became a hockey fan and how you got into writing about hockey? Michael McKinley: I grew up in Vancouver and you know, even though it’s on the west coast and you don’t get a lot of natural ice in the winter, played hockey as a kid on the street (ball hockey, roller hockey, etc.) and followed the Vancouver Canucks, and follow them now even living in New York City. They still cause me grief. I also have the pleasure of following the Devils, I go to Devils games and like them a lot. I was always interested in the game, partly because I’m Canadian – we’re genetically wired – but just the combination of skill and speed, it makes for a beautiful thing. Perhaps, the beautiful game. I know soccer claims that title, but I think it’s hockey. 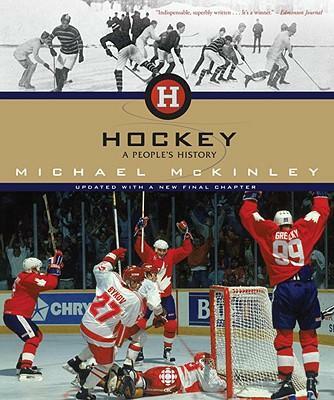 I went to England for university and missed the game very much and when I had a chance to write a book with the Hockey Hall of Fame and sifting through the facts and archives I realized how much I didn’t know, and I started getting into all the material there and learning all I didn’t know made me realize I had to write about hockey. MM: There was, actually. I wrote a book before the one that is out now, and it was called Putting a Roof on Winter. My idea was that, because I couldn’t find a book that told the story primarily focusing on the NHL, the first indoor game to now … I wrote one. The CBC in Canada was doing a one-hour documentary on Rocket Richard, and they realized, along with the Hall of Fame that they had too much material to put into an hour. So they thought, why don’t they do a long show on the history of hockey? They picked out Putting a Roof on Winter and said, “Yeah, this is what we wanna do” and had me write the book to go along with the TV series Hockey: A People’s History. So, I essentially wrote Putting a Roof on Winter because I wanted something that told, you know, the whole story of the North American game from the first indoor game in 1875, and that led to the book that’s out now. SL: Just how long an undertaking was this? MM: It was actually faster than you would think, and that was because it was part of a TV series. The TV series was 10 hours long, divided into one hour segments and with each segment having it’s own producer and a couple of researchers. It was like working with a team of 30 people to write this book. They would send me their research, and the researchers would go into their archives and do phoners and go visit old retired players or officials in the way I couldn’t. They’d bring me their research and I’d send them mine, so we kind of cross pollinated one another. My stuff wound up in the TV show, and their research wound up in the book. It was a whole team effort, because if I had to do it myself, to go around to all these places and talk to all these people, I’d probably still be writing it. SL: Being from Vancouver, there’s so much hockey history coming from there, were you able to draw on a lot of the things from the 20’s and 30’s that come from the western hockey leagues and get that in? MM: The west coast is actually sort of interesting when it comes to hockey. The Patrick brothers go out there from Montreal, their dad owns a lumber business in the forests of British Columbia and sells the business and makes a half million dollars which, in 1910, is a considerably larger amount of money than it is now. His son convinced him to invest it in hockey on the pacific coast of North America. They had a hockey background in Quebec and the guys had played, they put in artificial ice in Vancouver and built a 10,000 seat arena which was the largest arena in the world. They put ice hockey there and they innovate like crazy. They introduce things like the blue line, line changers, as back then players played the entire 60-minute game. They introduce numbers on jerseys, they introduce playoffs. There was no playoff system before the Patricks introduced one on the pacific coast. Of course, this benefitted every other team sport and major league sport, that was their idea. They also let goalies fall down to make saves, because that too wasn’t allowed until they did it out west. It was a great hockey innovation by these two guys. They were not part of the NHL, didn’t compete for the Stanley Cup. The great bar bet you can make about which United States team was the first to win the Stanley Cup. You might think maybe the Bruins or the Rangers, but it was actually the Seattle Metropolitans of 1917, and they were one of the Patricks’ teams. All of that stuff really influenced, it changed the game, and I brought a lot of that to this because there were a lot of stories to tell. I mean, inventing the playoffs alone would be a great story, but all the things the Patricks have done were astonishing when you think of it. SL: What was the thing that in all the research that ended up in the book surprised you the most, that you didn’t know beforehand and really shocked you when you found out? MM: Yeah, there was one thing that actually really surprised me. Well there were lots of things, but there was one thing that is quite a long argument and its still playing out today. Back in the 1930’s, there’s this guy Mike Buckna who grows up in Trail, BC. Part of the province’s very strong hockey history. He was the son of Czechoslovakian immigrants, and he decides to go back to the old country to look around. One day, he’s waiting for a train and reads in the paper that the Czechoslovakian national team is holding tryouts. He goes and they can’t believe what drops from the heavens, this guy is thousands of times better than what the Czechs had playing for them. One of them had a wooden leg. He’s really good and they sign him up, he ends up playing for and coaching the team. He teaches them the hockey he learned in Trail, BC. World War II comes along, Buckna goes back to North America, comes back to Czechoslovakia after the War, coaches the team again and wins a World Championship. Now were beginning the Cold War, and the Russians – the Soviets – had played versions of hockey before, now the air of competition between the Communist Bloc and the free world was coming to be, and they want to be good at this winter sport, ice hockey. So who do they learn it from? Their satellite state, Czechoslovakia, who learned it from this guy from Trail, BC. Of course, when the Russians finally come over to play the NHL in 1972 in the Summit Series, which was a huge deal because North America had always been sending amateurs to play in the USSR, never pros before that, and they’d been getting beaten. This was one we could know is to let our best players play against the Russians. Team Canada played the Russians, and they were very cocky and thought they would walk over them. Of course, they didn’t, and in the eight game series it came down to the last minutes of the final game of a great, dramatic series. People were marveling at the time of the brand of hockey the Russians were playing – creative, intelligent, skillful, free-wheeling kind of game that was also disciplined – and of course, the grand irony was that once upon a time the game we played in North America was brought to them by this guy in Trail. I didn’t know that before and, you know, it still plays out in the NHL today with the European players coming over who are always noted for their skill. Its rare that a European comes over and is primarily an enforcer. They might become that, but they don’t come as that. So, this can all be traced back to the legacy of this guy from the mountains of BC and that was an astonishing discovery. SL: As a Canadian, does it surprise you at all at the amount of American fervor there is for the 1980 team. I know there’s a lot of that in the book, and does it surprise you just how much admiration there is for that team. MM: It actually doesn’t, because again, still part of that same wave of Cold War ideology that was in existence in 1980 from 1972. The Red Machine, the Russians represented all that was wrong in the world and I think it was a chance for the United States to come up against them since it hadn’t happened on the battlefield. They do it on the ice and it was a real David and Goliath battle, and David wins! I think that it was a huge national moment in the United States. 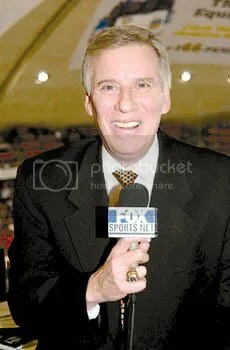 In fact, I think it was a turning point for American-born NHL players, and that was a turning point in my interest in the NHL, was that Miracle on Ice. It was one of the defining moments of hockey in the United States, which has got such a great hockey tradition. SL: After this book, how do you go about just writing about hockey anymore now that you’ve literally compiled almost everything? This is new territory for this website, and for me as a writer. Here I am speaking with the #2 man in the National Hockey League, Bill Daly. What right do I have to be talking with him? Every right, because Bill Daly sees it from a perspective that every fan has the ability to access him. Of all the people purporting the NHL’s new fan-friendly image coming out of the lockout, he seems to take it more seriously than anyone else. After speaking with him over the phone a week and a half ago, I saw on a Devils website fans posting E-mails they had traded with Mr. Daly about the Ilya Kovalchuk scenario. I spared him any questions on that, and chose to instead do a big “State of the NHL on TV” that I think you’ll find much more interesting. It is a milestone for Puck the Media, it is a personal milestone for myself. I think it legitimizes and validates much of what this site has done. Enjoy it after the jump. Adrian Dater has been a bit of a lightning rod for controversial stuff in this age of the blogosphere, and let’s not go without saying that I personally enjoy every minute of it. The man speaks from his heart, something too many of us fail to do (though not too many people in the blogosphere, as Adrian’s often at odds with many of us). Anyway, he’s a solid guy by my judgement and we decided to pick his brain for an interview this afternoon. Puck the Media: How do you feel the NHL is doing overall, as a league, as we head full force into 2010? Adrian Dater: Hmm,a good question to get me in trouble with a lot of people right off the bat. Good job Steve! Honestly? I don’t think i’ts been a great year for the NHL so far. That could change in the second half, with some great playoff battles,etc. But it was a big disappointment when the Winter Classic did a lesser rating this year than last year, first off. That wasn’t good, no matter how you spin it. A hockey game at Fenway Park, with Bobby Orr on the ice before the game and James Taylor singing the anthem? That should have been an extra ratings point over last year, at minimum. I don’t base the value of a sport on the “TV ratings game.” If that were the barometer, the NBA would be rightly seen as a huge disappointment. Ratings and attendance at NBA games are pretty much adisaster around the league now. But the NHL is – and probably always will be, in the U.S. at least – worse in comparison. Overall, I just think something is a little off right now with the NHL. I’m not sure what it is either. The players almost certainly have never been better, but that may be part of the problem; there just doesn’t seem to be a big separation between the offensive stars and even the fifth sixth D-men on teams now. The defensemen are just SO much better than the old days. You can’t embarrass any of them anymore like you could in the old days. I mean, it used to be that Bobby Orr could go wide on five of the six D-men on any team, with no problem. Now, the only way you can beat a D-man clean off the rush is if they fall down. In that sense, the overall excellence of every player on the ice has made it still a little too much like soccer on ice at times – and we haven’t even talked about the quality of the goalies yet, which is infinitely better than the past. Some of the NHL’s other problems aren’t quite its fault exactly. The cutbacks in media (newspapers especially) have hurt the league in the last few years. The New York Times doesn’t even travel with the Rangers or any other New York-based team anymore, for instance. The Arizona Republic doesn’t travel with the Coyotes, and they’ve been a big success story this year. The Los Angeles Kings has – until the L.A. Times began covering them a little more regularly lately – been reducted to covering themselves on their website. No offense to the Kings or any other team that does that, but no real serious fan of a team is going to be satisfied with that. As much as teams say they will cover themselves with “pure impartiality”, I can’t wait to see what happens when one of those teams has a player get in trouble with the law or a G.M. gets fired for some scandalous reason. Yeah, I’m sure we’ll see it covered exhaustively on the team website. Dump on newspapers all you want, but if a paper doesn’t cover a team in any level of any sport, you watch what happens to the popularity of that team in any given market. It does down. You certainly don’t get any quality coverage from local TV or radio anymore, and the big sports networks in the U.S. still consider the NHL only a niche sport not worth giving any significant coverage toward. So, it’s a vicious circle the sport continues to be entrapped in this country. It is no secret around these parts that we think Daryl Reaugh is the NHL’s most engrossing analyst. Never one to be cliche, always willing to be forthright and honest, and a never-ending laundry list of synonyms for the words we puckheads are way too tired of hearing again and again. We traded paint with the man they call “Razor” and we hope you enjoy it. Jack Edwards is a pretty much what-you-hear-is-what-you get type guy. He’s funny, he’s a good guy, and he loves hockey. He also happens to have had a career mostly (until the turn of the century) doing things that are as far from hockey as it gets. When we asked him what the strangest thing he’d ever called was, he without hesitation responded “Chick boxing in Rockford, Illinois. 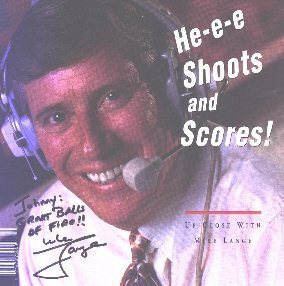 In the seminal days of ESPN”. We forgot to ask him if it was better than that Lucic-Komisarek bout earlier in the year.